Nerve Damage Treatment- Different people have different kinds of experience with nerve pain. For instance, some may feel a stabbing pain, suddenly may be in the middle of the deep sleep or some may notice a kind of a tingling, burning sensation, on the go! Although uncontrolled nerve pain can at times be unbearable, with the currently available conventional treatment regimen, it can only be managed but not cured. Some experts believe that pain can be referred to be as an indication or a warning, sent through a damaged nerve. For example, if your hand gets too close to a burner or a burning candle; you involuntarily tend to retaliate, as your nerve sends pain signals to the brain. 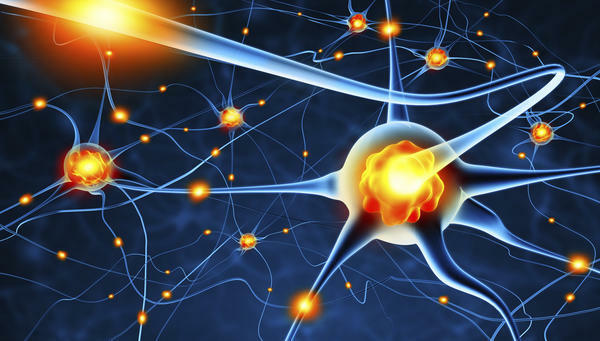 As a matter of the fact, due to nerve damage, the signals that are being initiated towards the brain, are often identified to be the false signals; initiated without any diseased condition, pain or an injury. Although, the good news is that nervous breakdown is a slow and gradual process; indicating a possibility to treat the issue before it gets worse. It is advisable thus, to consult experts if any of the following symptoms are noted. Sudden notification of numbness, tingling sensation radiating from hands or feet towards the upper portion of your body; is a primary indication of sensory nerve compression. Although, the experience can be quite temporary, repeated triggers should never be ignored. Through damaged motor nerves, it is quite possible to be affected with severely chronic weakness or even paralysis in the later stage. Thus, if you notice that you are facing difficulty in moving one or more parts of your body, it indicates an urgent need of medical attention. A burning sensation with continuous sharp pain; starting in the lower back of your body and radiating towards the back of your one leg could indicate the presence of sciatica. Chronic issue of compressed and/or worn out spinal disc may damage sciatic nerve. If you are noticing that you are suddenly tripping or falling than usual; then is the sign of damage to your sensory nerves; which can cause lack of coordination, concentration, and tendency of frequent falls, in the later stage. If not taken proper medical precautions, you may face a problem of neurodegenerative diseases, such as Parkinson’s disease, Alzheimer Disease, etc. Occipital neuralgia, a condition that usually may result due to a pinched nerve in your neck region. You tend to get an intense headache just like that of electric shocks. A nerve block is being prescribed in order to temporarily block a troublesome nerve from transmitting signals. As a matter of fact, conventional medication cannot offer a permanent cure to the problem, however, with the help of alternative medicine like stem cells therapy; it is possible to regenerate damaged nerve and restore its function back to a certain extent, if administered within the early time frame.